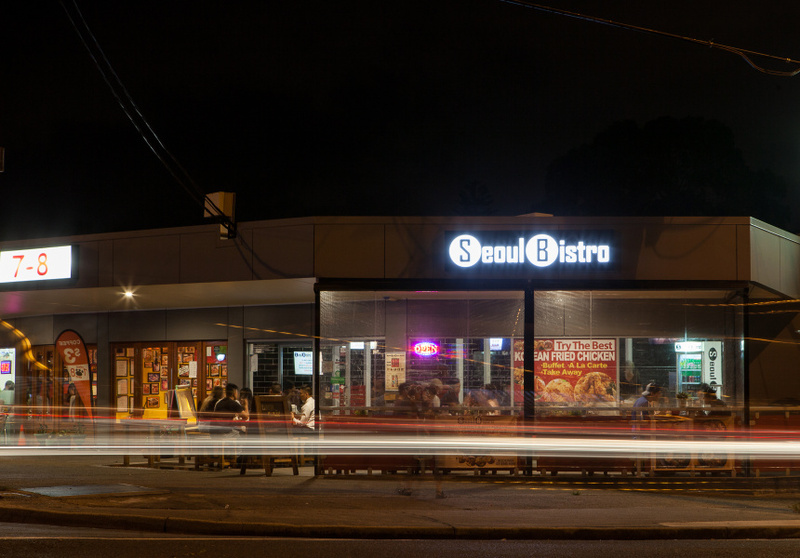 Seoul Bistro sits on a leafy corner block, removed from Sunnybank’s bustling dining precinct. 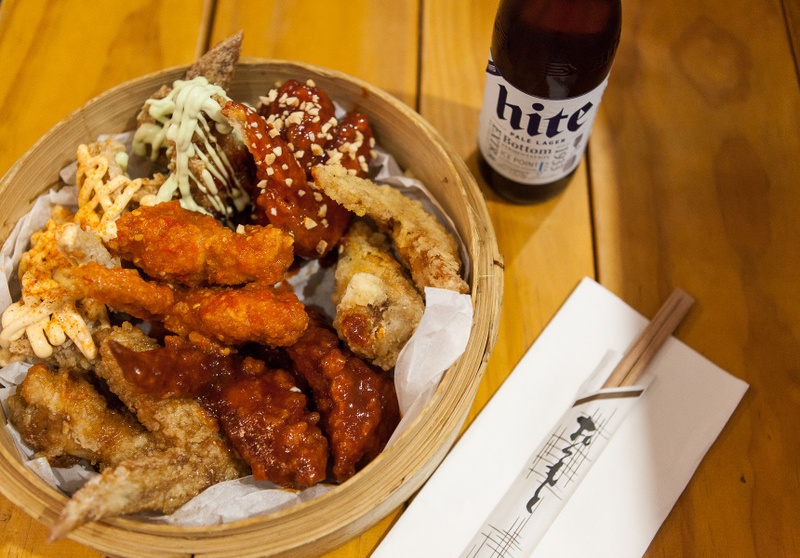 Paul and Rob McMullen have made it into a destination for Korean fried chicken, with diners flocking from across Brisbane for the finger-licking fare. 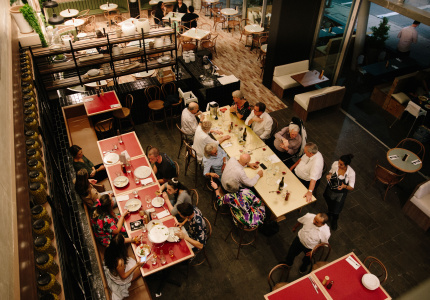 Street-side, alfresco dining makes the most of the quiet suburban location and is ideal for long summer evenings. 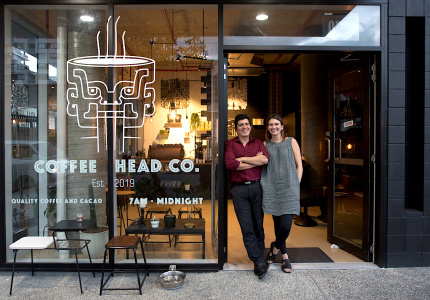 Inside, bench seats and long wooden tables encourage communal dining amid a simple design of black and white subway tiles. 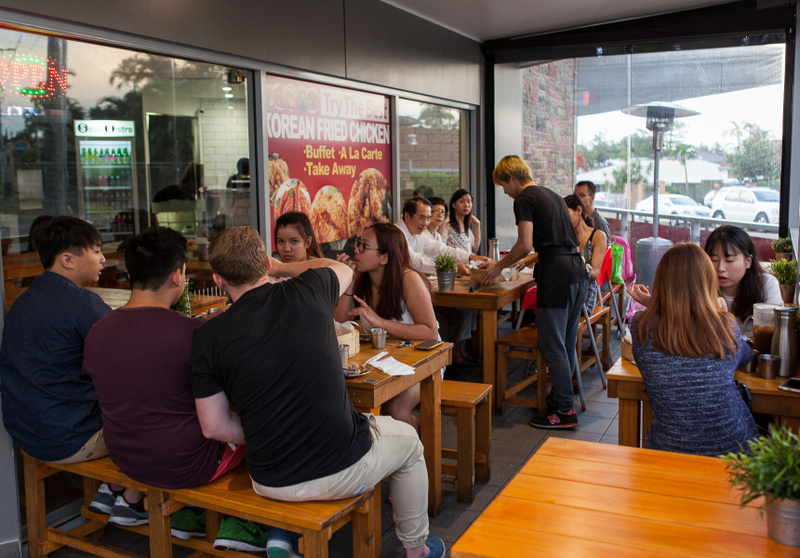 The compact space fills quickly with groups downing rice wine and Korean and Japanese beers. It’s rarely less than lively. For a tad more privacy, make for the tables hidden behind red panelling. 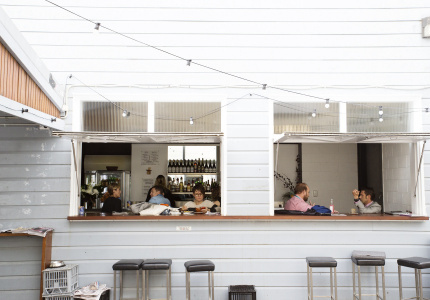 A small kitchen at the back of the venue churns out Korean- and Japanese- inspired dishes. Those famous Korean fried chicken wings are light, succulent, and come with the option of seven different sauces, including yang nyum (sweet ’n’ spicy), honey wasabi, and buffalo with blue cheese sauce. The buffet option is just over $20 per person and offers unlimited wings. We can’t argue with that value proposition. Other dishes include the Japa burger, a Japanese-inspired crispy chicken burger, and a range of more traditional noodle and rice bowls such as katsu curry. Sides include kimchi fries and gyoza.